In Presidential Communications Operations Office (PCOO) Undersecretary Lorraine Badoy, she narrates how she was brought into tears by Senator Loren Legarda. The said senator apparently did the unthinkable when Badoy had lost hope in the government after hearing and experiencing the horrific living circumstances of the tenants of center and institutions of the Department of Social Welfare and Development (DSWD). Badoy narrated that the centers were the catch basin for the saddest and most tragic stories that she’s heard in her life. From babies being abandoned in wastebaskets to young girls being raped by their own family, the hellhole centers were these people’s only saving grace. And yes, you heard it correctly, they are hellholes for the almost all the centers were deteriorated to the point where Badoy described them as centers for “subhuman living”. “…they slept was where they ate, pooed, peed, bathed. And where staff to resident ratio was well beyond the ideal 1:10 at 1:50. Rats and cats existed side by side with residents—often climbing on them as they slept,” said the PCCO Undersecretary. This was the epitome of government failure Badoy claimed. Being a compassionate being, the Undersecretary did the only alternative way to help the residents, to raise funds by tapping into private organizations and sectors. She continued on stating that what they collected was exceeded by an astounding margin. “And just like that, we had 2Billion pesos for capital outlay. On top of which Sen Nancy Binay gave another billion. (Right now, I think 2Billion is what our Centers and Institutions have as capital outlay). An unprecedented amount. Unheard of,” Badoy said. 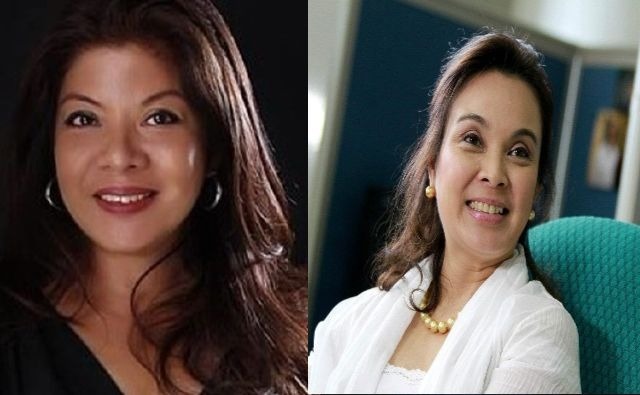 It was Legarda who defeated what Badoy and company could pool, the same person who brought Badoy to tears for she was caught off-guard by such an act of kindness and honor. Badoy thought to herself that it was what public servants should’ve been doing, lifting the weak on their strong arms. Not so long ago, this woman made me cry. This was when I was still in DSWD and our country's Centers and Institutions were under my care. My husband had to take me to the beach on weekends just so I could stare out the water and weep. Our Centers are repositories for some of the saddest, most tragic stories I had ever heard in my entire life. Babies abandoned in airports or wastebaskets, toddlers left in crowded markets crying for their mothers- mothers who never returned even as dark fell or when torrential rains fell as their young children screamed in terror for them. Girls raped by their own fathers and brothers, parents left at the gates of our centers bec they had grown too old and too poor and too sickly to be of any use to their children. And if that wasnt bad enough, the centers that were supposed to be their haven had become hell holes themselves. (Not all. Region 7 centers are centers of excellence for instance but NCR Centers are the pits) Largely because of the indifference, the incompetence of those who were supposed to give them the home denied them by their own families. GRACES for instance, had deteriorated so residents there lived subhuman existences. Where they slept was where they ate, pooed, peed, bathed. And where staff to resident ratio was well beyond the ideal 1:10 at 1:50. Rats and cats existed side by side with residents—often climbing on them as they slept. A.showcase to failure of government if I ever saw one. Because I was new in govt, I thought the way to go about it was to do it was the way I had done it as a private citizen: raise funds by tapping the private sector until this woman came along and championed what Sec Judy and I and the DSWD had been championing for: more resources poured into our Centers. And just like that, we had 2Billion pesos for capital outlay. On top of which Sen Nancy Binay gave another billion. (Right now, I think 2Billion is what our Centers and Institutions have as capital outlay). An unprecedented amount. Unheard of. So this is how this woman, Senator Loren Legarda made me cry in the halls of Senate when she did what it is I think public servants ought to do: lend their power to the powerless and lift them up with her strong arms because they have no strength left in them. Today, I saw her in Senate and she said to me, “Ay we’re the same. I’m maarte too. Look at our hair. And our names: Loren, Lorraine.” Haha.. Thank you, Senator Loren. Politicians were never my cup of tea but if I have changed my mind about politicians and have now learned not to generalize and make sweeping statements, this is because of what you did that day you made me cry happy happy tears.